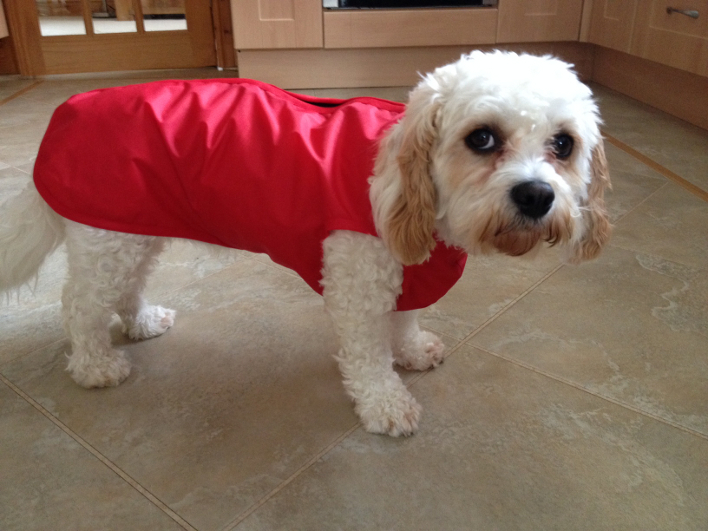 Daisy the Cavachon came to us needing a slim fit lightweight waterproof coat. We custom made one of our unlined-step in waterproof dog coats to fit her slim body. If you would like a custom made coat please Contact Us and to order a unlined step in like Daisy please click Unlined Step In Waterproof Dog Coat.